Self-Determination in Disputed Colonial Territories addresses the relationship between self-determination and territorial integrity in some of the most difficult decolonization cases in international law. It investigates historical cases, such as Hong Kong and the French and Portuguese territories in India, as well as cases that remain very much alive today, such as the Western Sahara, Gibraltar, the Falkland Islands and the Chagos Islands. This book provides a comprehensive analysis of colonial territories that are, or have been, the subject of adverse third-party claims, invariably by their neighbouring states. 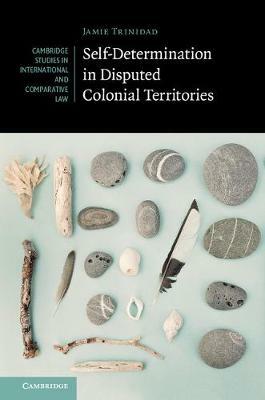 Self-Determination in Disputed Colonial Territories takes a contextual, historical approach to mapping the existing law and will be of interest to international lawyers, as well as scholars of international relations and students of the history of decolonization.